Delta Airlines and American Express got together and made a pretty useful credit card, all things considered. If you want the benefits of an American Express card and the rewards of flying almost solely with Delta Airlines and their partners, this is a great card to pick up to save money on flights. Who Benefits From This Card? 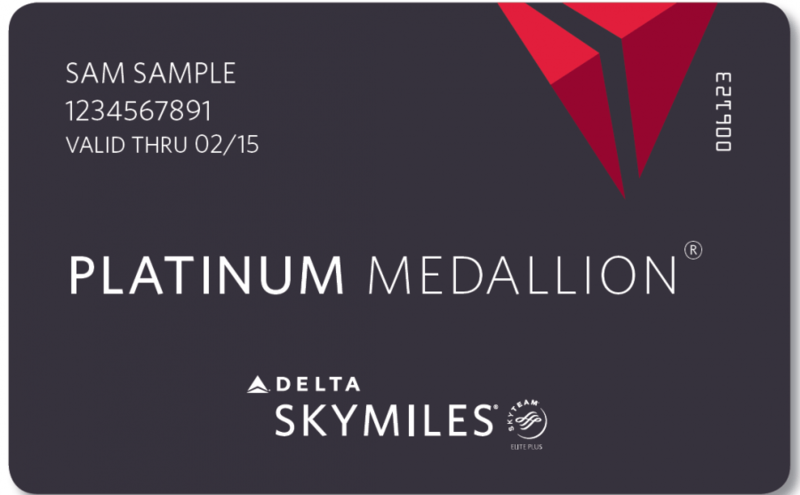 If Delta Airlines or their partners are your airline companies of choice, you can't really go wrong with the Gold Delta SkyMiles Credit Card. This is a great way to start saving for your next trip by spending money that you would already be spending, anyway. Who Doesn't Benefit From This Card? If you don't travel by Delta Airline much or if you travel on varying different airlines based on price or other factors, this probably isn't the card for you. Your First 4 Months Gets a kickstart to your next flight savings when you sign up! Spend $3,000 on your card in store purchases over your first 4 months as a cardholder and you'll earn 60,000 bonus miles. This is a great sign up bonus, because Delta's one way tickets start at around 10,000 miles depending on where you're flying domestically. This offer expires on 9/19/2018. The annual fee on this card is $0 for the first year, as is pretty standard for most travel cards and most credit cards in general these days. After that, though, the yearly fee is $95. The APR on this card can vary between 17.49% and 26.49%. Which Airlines Can I Use My SkyMiles With? Some of Delta's SkyMiles partners include: Compass Airlines ,Express ,Jet Airlines, Endeavor Air, Gojet Airlines, Shuttle America, SkyWest, Aeroflot Aerolineas Argentinas ,AeroMexico ,AirEuropa, Air France, Air Tahiti Nui ,Alaska Airlines ,Alitalia, China Airlines ,China Eastern ,China Southern ,Czech Airlines, Garuda Indonesia, GOL ,Great Lakes, Hawaiian Airlines (limited itineraries) Kenya Airways, KLM Royal Dutch Airlines, Korean Air, Middle East Airlines ,Saudia Airlines ,Tarom Airlines, Vietnam Airlines, Virgin Atlantic ,Virgin Australia ,Xiamen Airlines. No blackout dates means that you can travel when you want to with your points; you're not restricted on which flights you can use your points on. Unfortunately, Delta does happen to limit the number of award flights per flight, so book quick! Delta miles also never expire. They are the only major airline to do this, while other airlines retire their miles in as little as 18 months of customer inactivity. When you fly, your first bag that you have to check is free. This is a pretty standard reward on most travel cards, though. You'll also get pushed to the front of the line when boarding the plane with Priority Boarding. If you fly a lot (and you probably do if you're looking at this card), you already know how much of a pain it can be to be stuck at the back of the line to get on the plane. Forget about foreign transaction fees when you travel overseas; due to this card being from American Express, this card doesn't have them. You Can Carry A Balance, But Don't While you can carry a balance on this card instead of paying it in full from month to month, this is generally a bad idea because it can end up cancelling out the savings you get with your rewards points. Delta Sky Club Lounge Access Have flights with Long Layovers? Get access to the Delta Sky Club lounge where you can get access to a level of comfort not available in the rest of the airport. Whether you're in search of food, beverages, TV, better restrooms or just want somewhere to rest, Delta Sky Club can take care of you. Warranties can be extended with this card, as well. The extended warranty feature on this card is great if you regularly buy things that may need to be replaced after their warranty period is up. Extend an eligible product's warranty up to a year with this card where the warranty was for 5 years or less. Did you buy a product that wasn't quite right for what you needed it for? Even if the merchant won't take it back, you can get up to 90 days from the date of your purchase to get a refund from your card. It's only good for $300 per item and you can only use it up to $1,000 per year. Still not bad, though! If you have added an additional card for anyone 13+ then you will earn miles for their purchases in the same way you do on your own. You'll earn 1 mile per every dollar that you spend on purchases of the standard things like gas, restaurants, food, and so much more. This is pretty standard for most reward cards, though. Do you book flights directly from Delta? If so, you can earn 2 miles for every dollar you spend directly on Delta.com, purchases of Sky Club memberships or passes, Delta Vacations passes, and even things you can buy on your flight like upgrading your seat or food & beverages. There aren't a whole lot of options on how you can redeem points with this card, which is one of its only downsides. If you fly Delta Airlines regularly, though, redeeming for domestic or international flights will probably be all that you need. You can, however, use SkyMiles on the SkyMiles Marketplace to redeem them for things such as gift cards, hotel stays, and even rental cars. But, the best use is still Delta flights. To Sum It Up This is a great card for anyone who flies at least once a year using Delta Airlines or any of their SkyMiles partners.